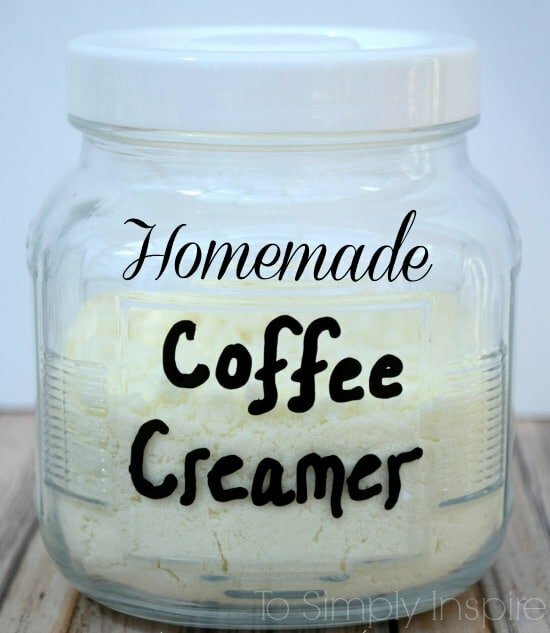 Make your own yummy Homemade Coffee Creamer for a healthier, additive alternative to store bought creamers. How do you like your coffee? I am a cream and sugar kind of gal. I love powdered creamer but I don’t like all the ugly ingredients that are listed on it so I have just actually just been using plain fat-free or 1% milk for years. Have you read what’s on the label of the store bought powdered creamer? Yuck! So I started doing some research and playing around with making my own and I am so happy with this 3 ingredient Homemade Coffee Creamer!! The healthy benefits of the coconut oil are fabulous too. 1. Mix together the powdered milk and powdered sugar. 2. 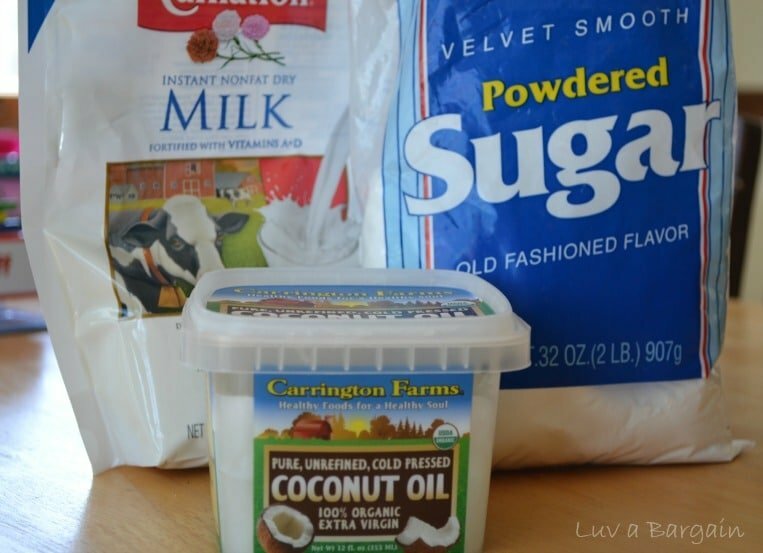 Drizzle the melted coconut oil over the dry ingredients. 3. Pulse in a food processor for about 1 minute or until fine. Or you can put it in your jar and shake vigorously. Store in a jar of your choice. I don’t use sugar in my coffee and I am on keto. Why is there sugar in a creamer? This is just what I needed. I have started making my own liquid creamer, but have run out. No more milk to make more and I refuse to go out. I have all the ingredients for this, so I’ll give it a shot. Gotta have the creamer for coffee.